One of the best ways to travel in the city is by means of a comfortable car. So Audi Car rental Bangalore is growing within the city to the extent that it is much easier to get an automobile of your choice and luxury,Here is the car rental tariff for car hire in Bangalore, we have the cheapest tariff for Audi Car rental in Bangalore, we have been providing car rental service from past 15 years and have hundreds of happy customers all round the world , so feel free to book a taxi from us. Audi A6 displays a perfect harmonization of beauty, power, elegance, excitement, and style. Flowing lines, distinctive details, and elegant contours highlight the visual appeal of the car. The car is available in four powerful and efficient variants. 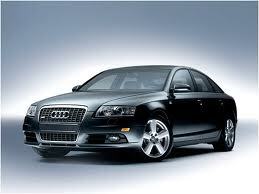 Audi Cars in India are regarded as a symbol of class, elegance and luxury. Audi India began operations in 2007 as a division of Volkswagen Group. Audi cars now in India are fully imported or assembled at the Aurangabad plant of Skoda Auto. Audi India is projecting its cars to the Indian elite as the best luxury cars to match their status. Audi cars are starting to fire the fancy of the rich Indian consumer and the upper middle class with their current range of Audi A4, Audi A6, Audi A8, and Audi Q7 sedan cars. Audi India is expanding the network of Audi dealerships across Indian metros. A Tour to India in Audi is one of those experiences that you do not forget anymore,Find the perfect holiday destinations in India and enjoy some relaxing time off from your daily routine! Historical monuments,foggy hill stations, golden deserts, pilgrimage sites, captivating beaches, serene backwaters, rich wildlife and colourful fairs, India is simply exotic and magical (Audi Rental Bangalore). Audi Time and kilometers will be charged from garage to garage. Audi Services for more than four hours will be charged under 80 kilometers and 8 hours. Audi All parking charges, toll taxes, state taxes will be charged extra as per original receipts, in case taxes are paid in advance of any state 1/3rd tax will be charged of actual receipt. Audi Service tax will be charged. Audi Once the vehicle leaves our garage, we will be charging for the same irrespective of being used or not.